One of Canada’s hardest-working MCs readies new album — hear the lead single! Atherton isn’t new at this music game — he’s been at it for well over a decade. Through various bands, projects, and collaborations he’s released countless songs, albums…hell, the guy even put out a sweet t-shirt last year. But now, he’s about to release his own brand-new album No Threat under the very simple and fitting name, his own, Atherton. 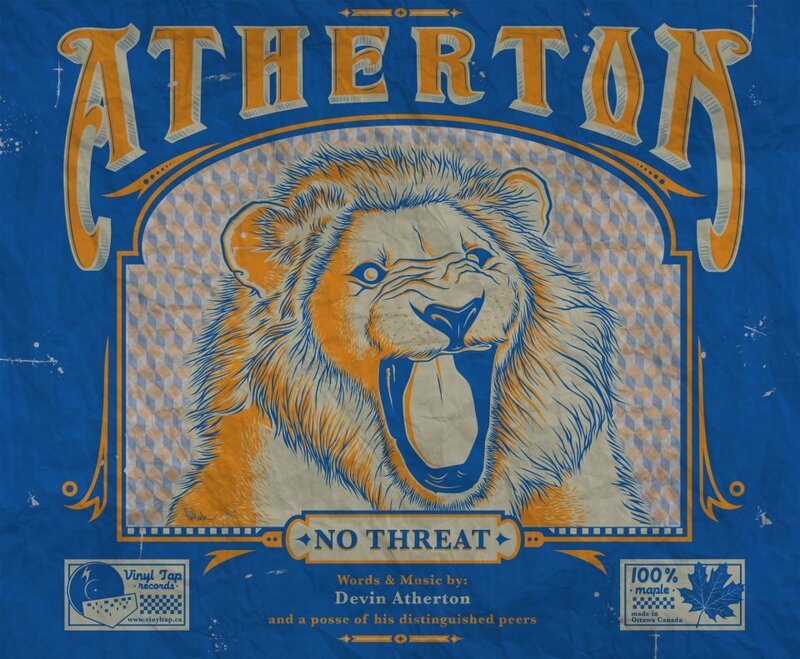 If you’ve been listening to Atherton for a while now, my bet is the first thing you are going to notice about the lead single “No Threat” is that the beat is absolutely phenomenal. There have been times over the years when listening to Atherton that I found myself thinking “this guy is an amazing MC and could be crushing the world with just slightly stronger beats.” Well, if “No Threat” is any indication, for the rest of the album we are about to find out just how high this Atherton character can fly. No Threat will be available on wax, which is music to this man`s ears. Nothing better than awesome hip hop spinning on vinyl. Knowing Atherton, he`ll be saying raps on a stage near you, wherever you are, in the not-to-distant future. Keep up to date with that over on the Faceboook page. In the meantime, take a listen to the song already!